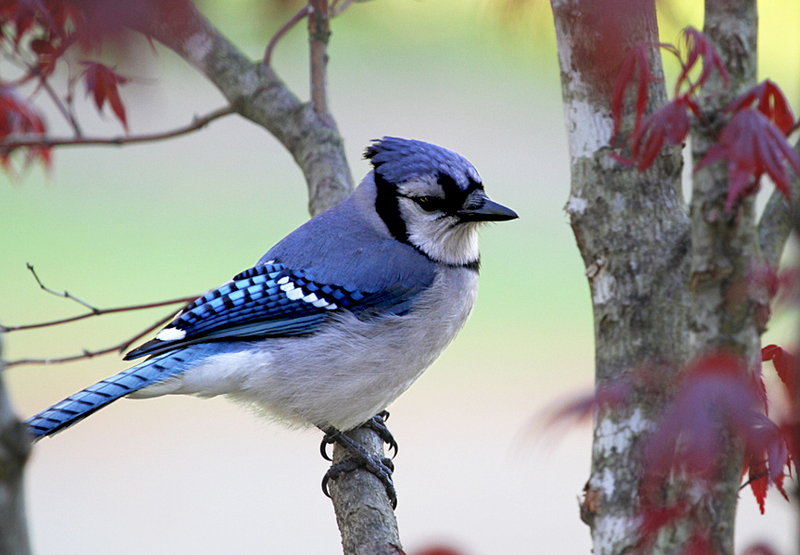 We live in southeastern Vermont, surrounded by deciduous trees, conifers and open fields, our elevation is just below 1000 ft. I leave feeders up year round (more on the perils of this later in the post). 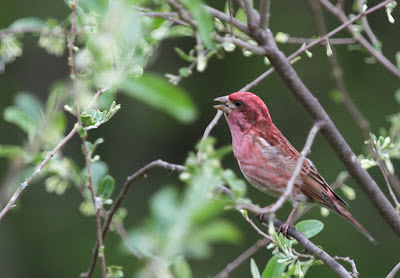 As soon as Gerry got his new camera (Canon EOS 7D with 100 - 400mm zoom) and started reading the manual, he began shooting. We're lucky to have a great spot for a nice variety of birds. 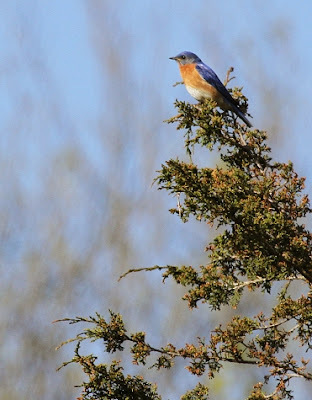 For the second year, bluebirds have nested in a house, I can hear the nestlings squawking when I walk by. We always have tree swallows nesting. 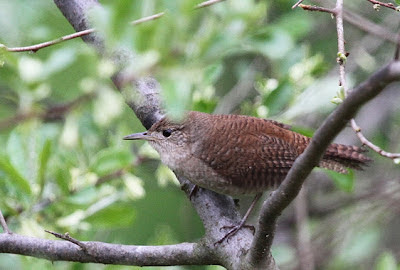 House wrens always return to their usual house. 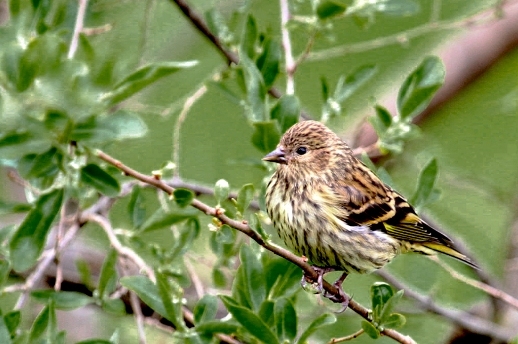 Two pine siskins have been around for a while, they usually head further north to breed. 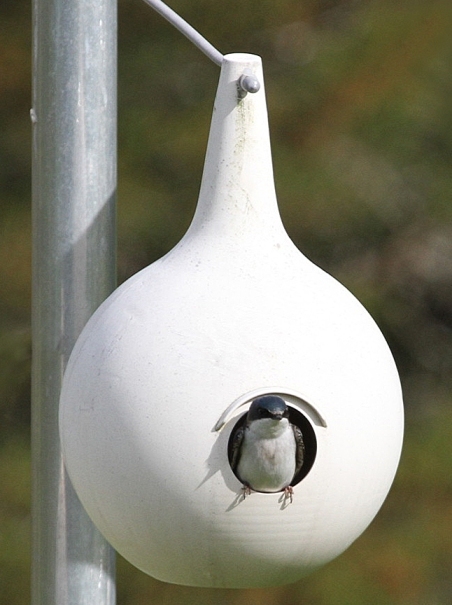 Not sure if they nested here though. 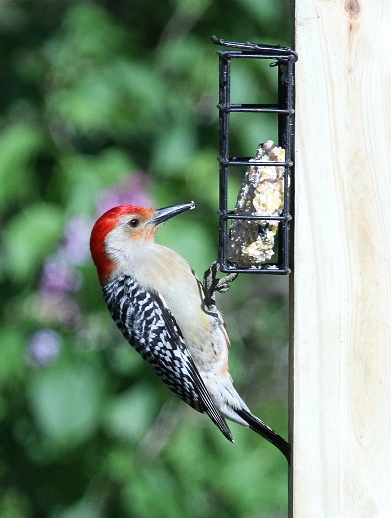 New this year is a pair of red-bellied woodpeckers coming to our suet feeders everyday. Also a pair of evening grosbeaks returned, hopefully to nest. We rarely have them here at all. This was a rare treat, I kept hearing the tanager singing and hoped he'd come closer so Gerry could get a picture. 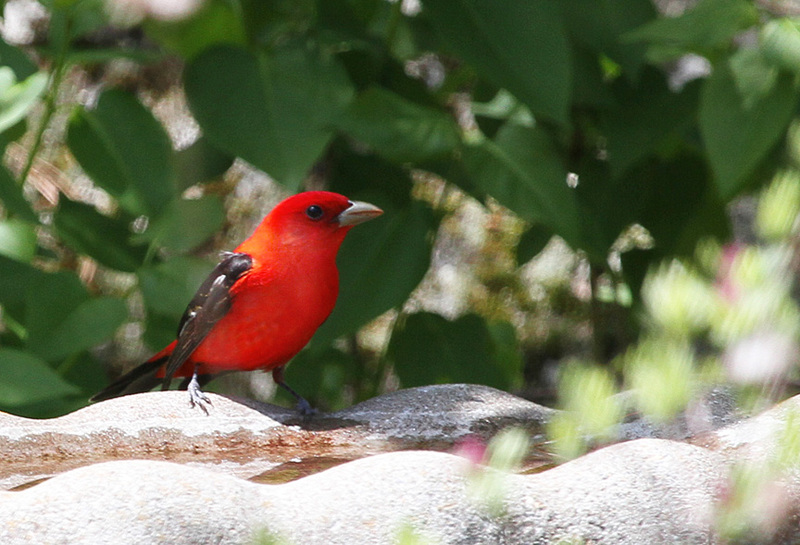 I looked out the window and he was right on the bird bath. 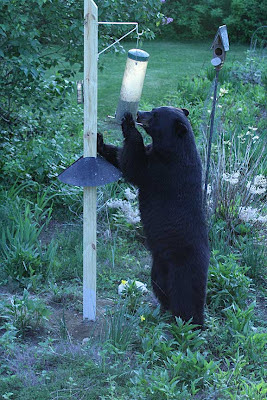 I know it's recommended to take the feeders down in the spring because of bears. 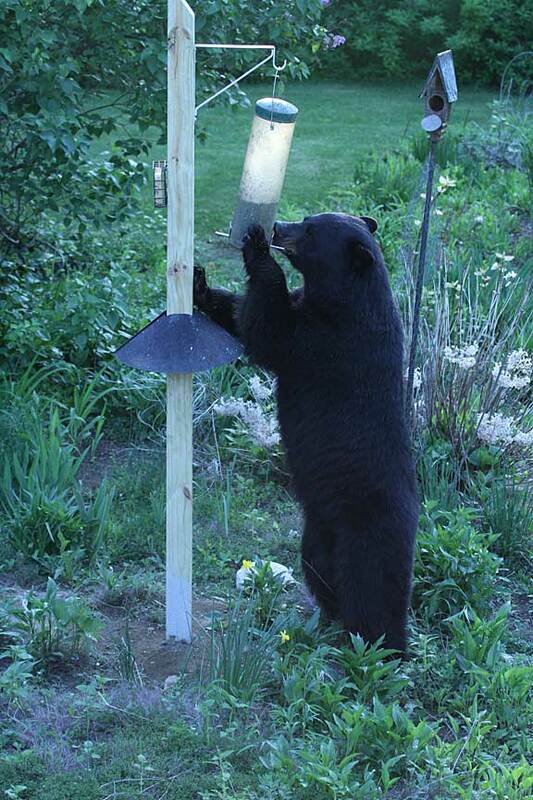 I take them in at night and put them back out in the mornings, so I thought I had the bears fooled. Bears have a sense of smell that's 4 times better than a dog, so there's no fooling them. This guy arrived at 7pm. Love the pictures and descriptions. I have some similar birds but am new to birding, nice to know the names and the bear, well, I know what that is! Yiiikes. Lovely post filled with fabulous photographs! 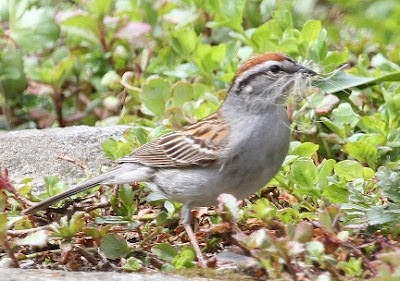 We have similar birds in our area (Chicago/Northwest Indiana). 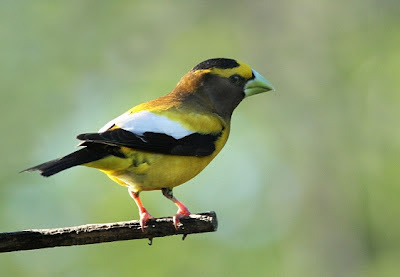 Though, I've never seen a Evening Grosbeak. 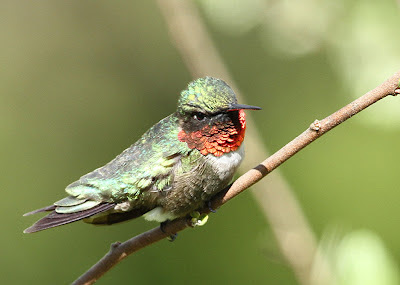 They are stunning birds! 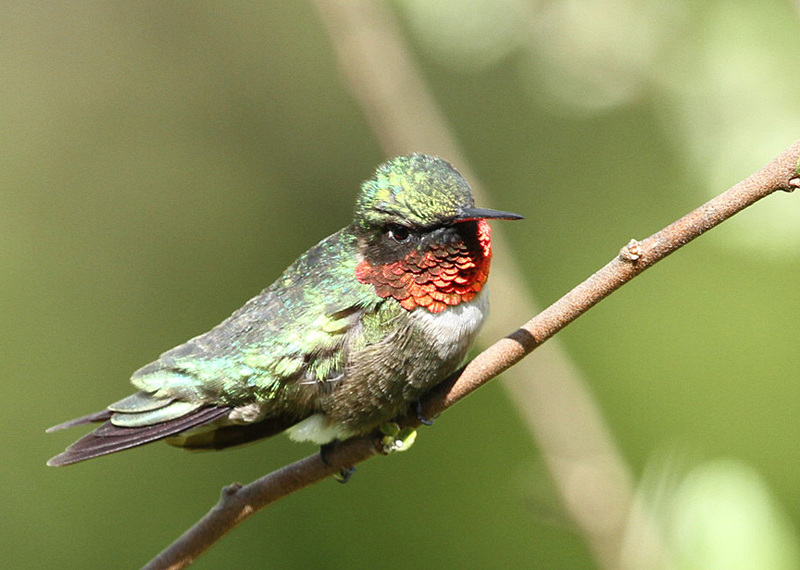 What a colorful backyard you must have with all these beauties flying around. So glad the only bears we see are the Chicago Bears football players.